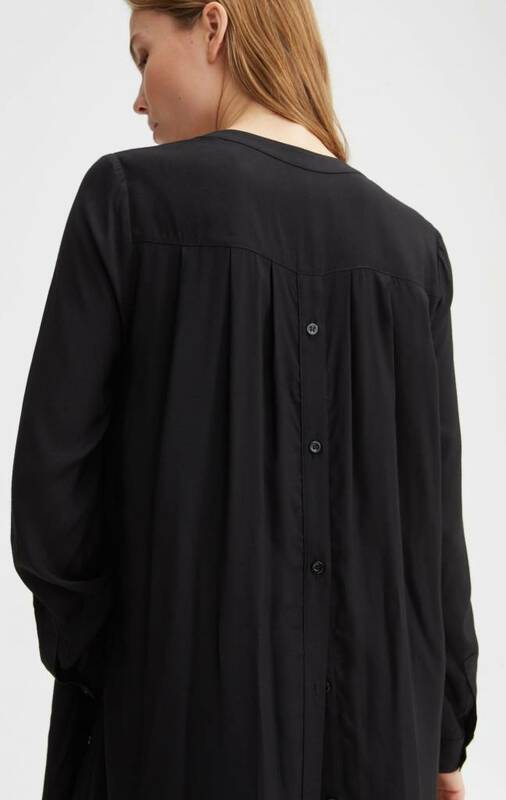 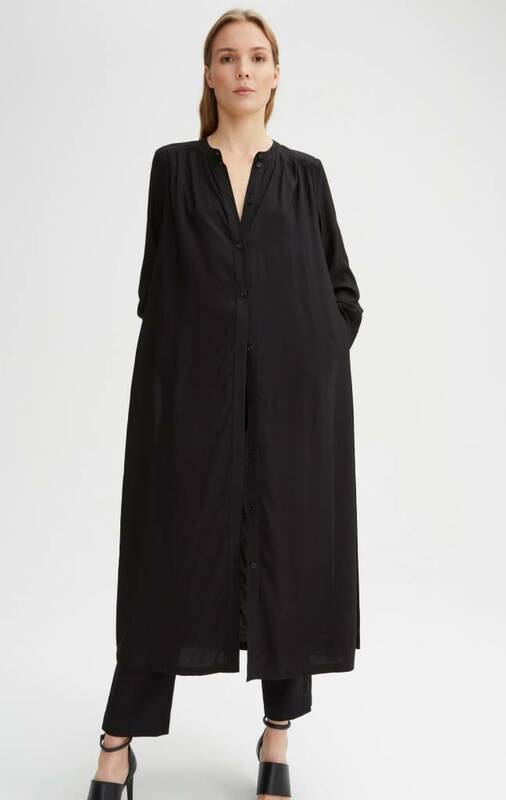 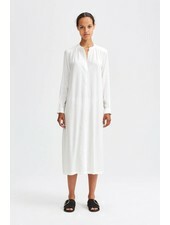 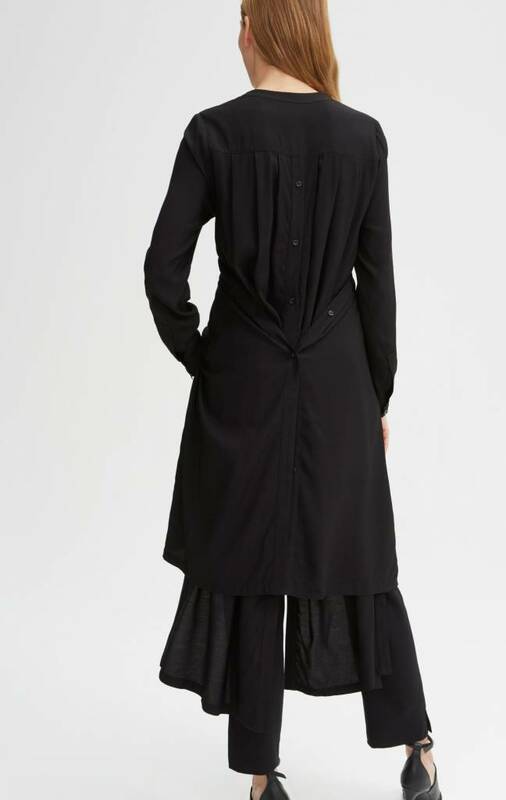 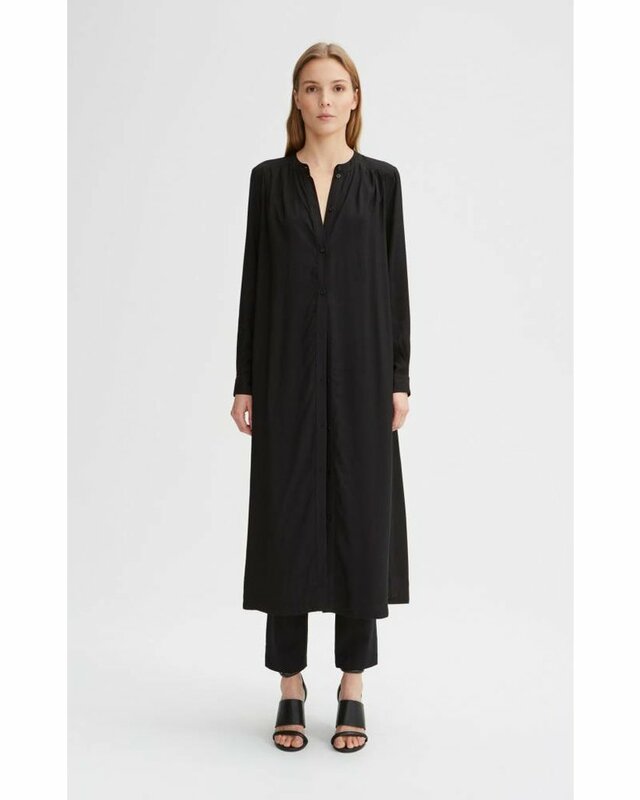 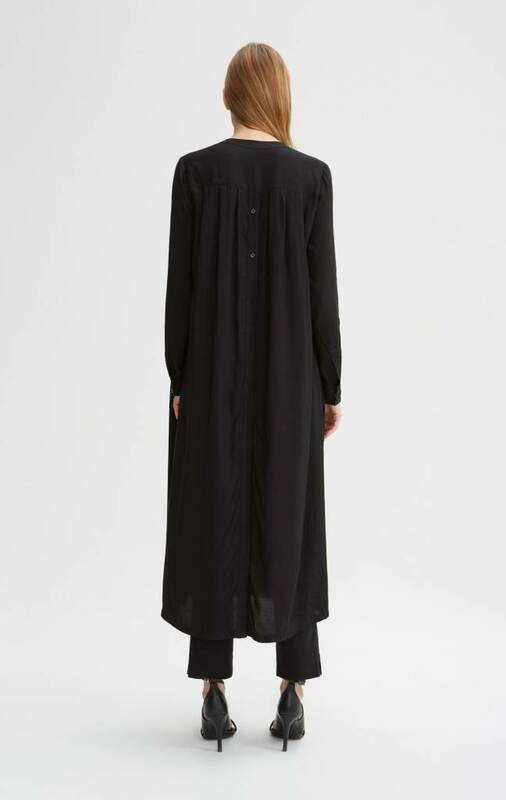 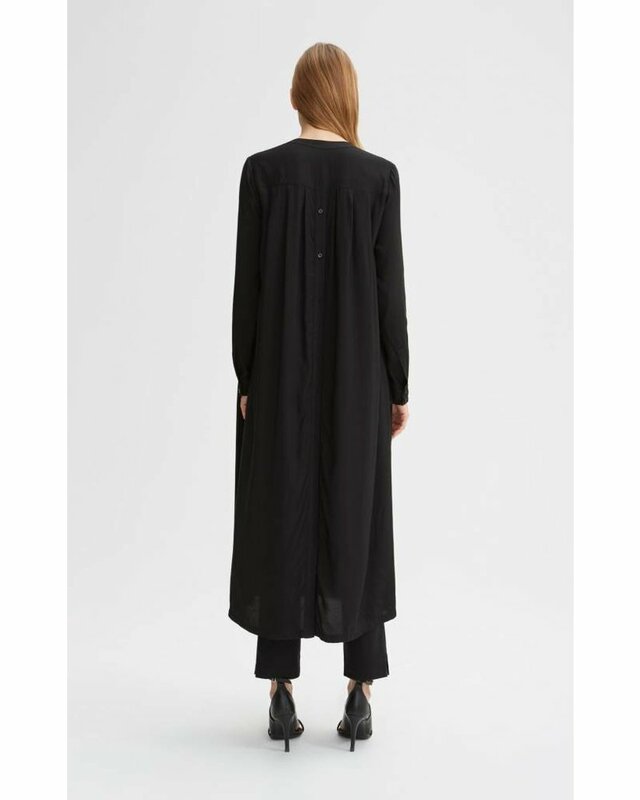 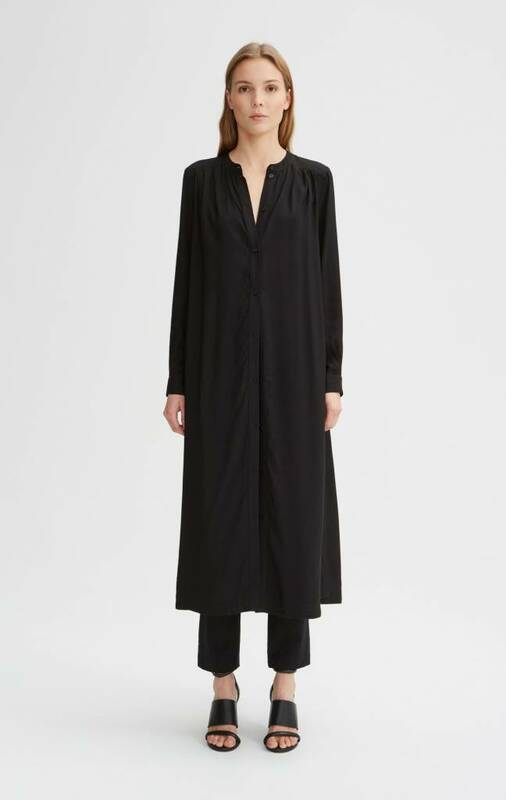 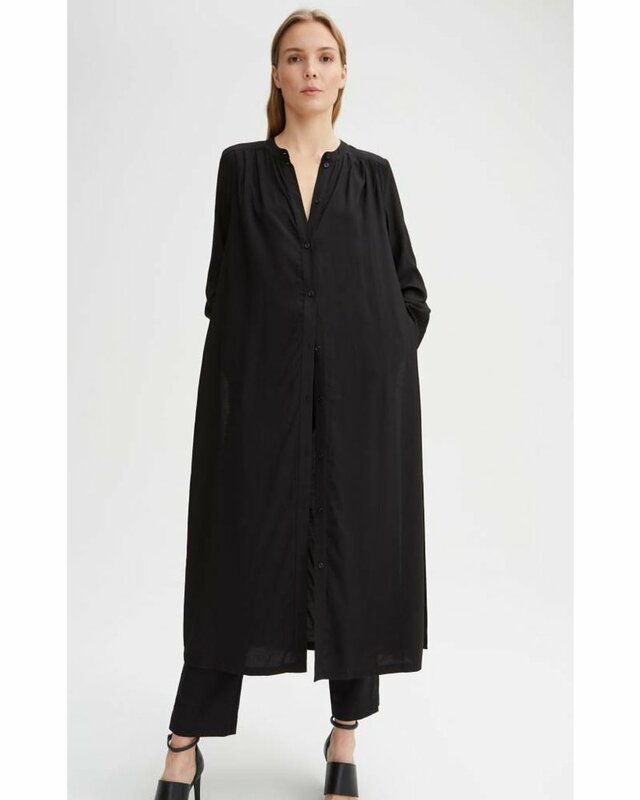 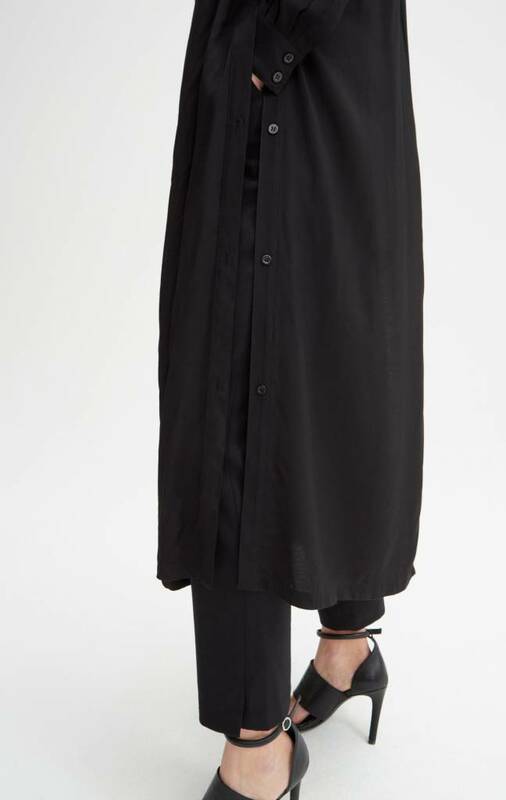 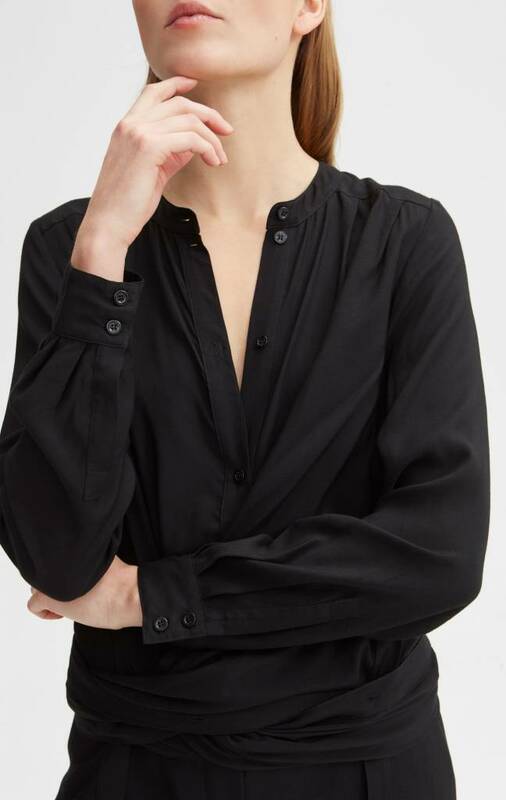 The Asrin dress is a versatile ankle length shirt dress, featuring buttons at the front, back and sides. 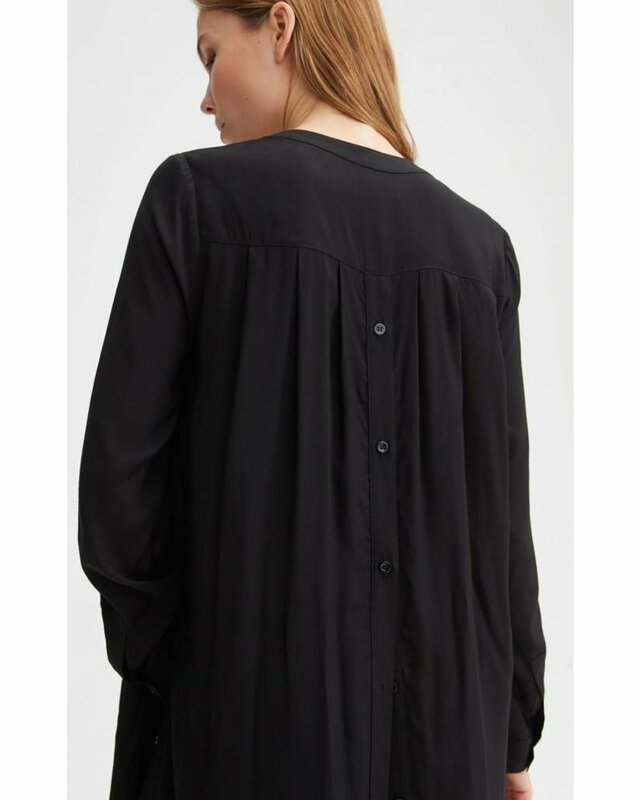 It can be worn buttoned up, as a shirt-dress, or open as a light outer layer. 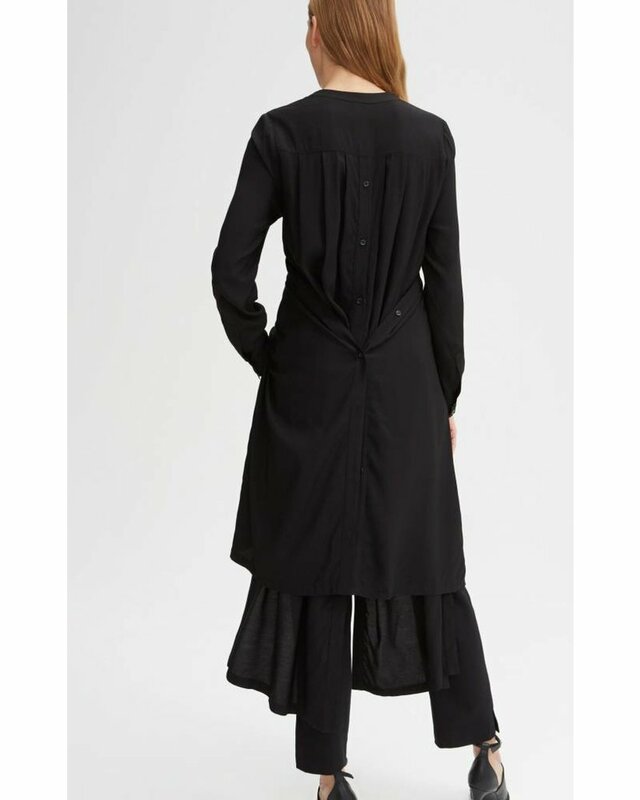 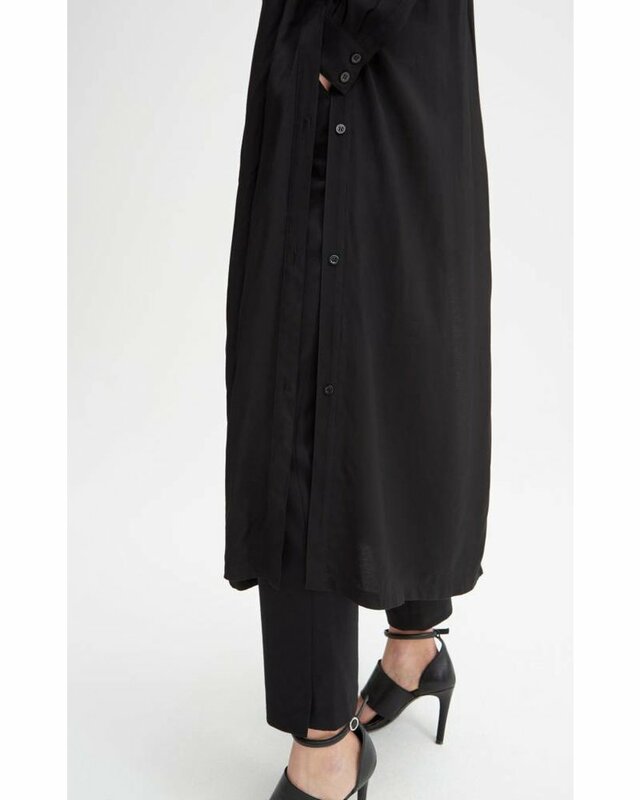 It can styled wrapped around the body or draped and buttoned in various ways.